Overlooking the beautiful beaches and clear waters of Ohrid Lake, Hotel Zlaten Prsten is without doubt one of the pearls of Ohrid. The hotel has accommodation capacity of 50 beds including 1 single bed, 14 double beds and 6 luxurious apartments where guests can relax and enjoy complete rest and peacefulness. 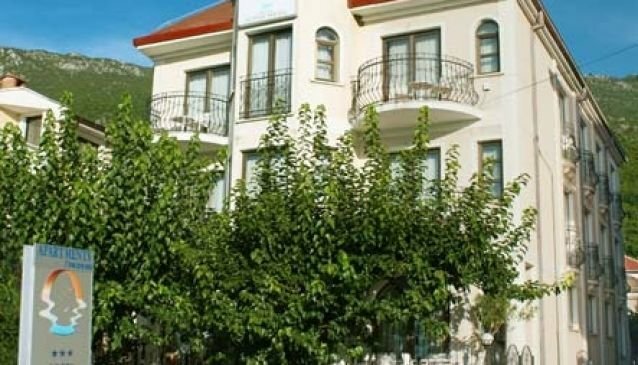 Each room is well equipped with all the amenities needed for a nice vacation, and a spacious terrace where guests can witness one of the beautiful gems in Macedonia, the Ohrid Lake. Near the Hotel Zlaten Prsten there is the unique Bay of the Bones which is a famous Museum on Water that hides history and culture of Macedonian settlements from 1200 BC. There are many reasons why to visit Hotel Zlaten Prsten and enjoy its comfort and beauty.